He worked night and day to make the hidden man renewed in the image of Christ grow within him. He sustained himself with the reading of Holy Scripture; and the fruit of the many chestnut trees which grew there enabled him to live free from care about food. He persevered in contests worthy of the great ascetics of the early Church for three years. Having undertaken a pilgrimage to the Holy Land, he stopped at Iconium for some time, where the ageing Metropolitan wanted to keep him to be his successor. 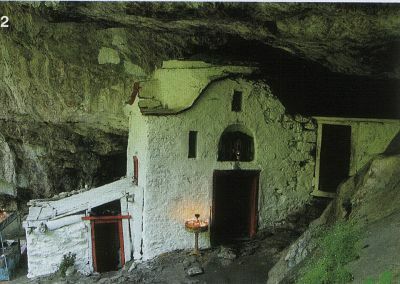 After having venerated the holy places, he returned to Mount Athos and set himself the task of enlarging his small chapel, assisted in this work by the angels. A brigand observed that many visitors came to receive his blessing, and he decided to waylay and murder Dionysios. 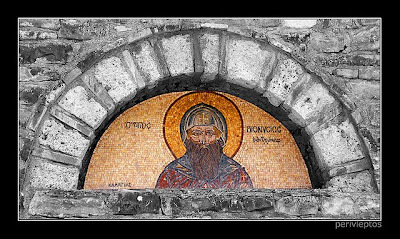 But his eyes were darkened so that he did not see Dionysios pass by and he made his way to his cell intending to ransack it thoroughly. Coming upon the Saint there, he fell at his feet in tears, confessed his evil intention and eventually became a monk. 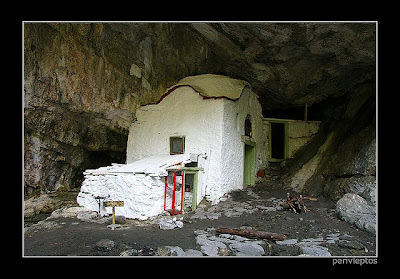 The heavenly life of Saint Dionysios became known all over the Holy Mountain and, after seven years, the monks of Philotheou asked him to become their Abbot. 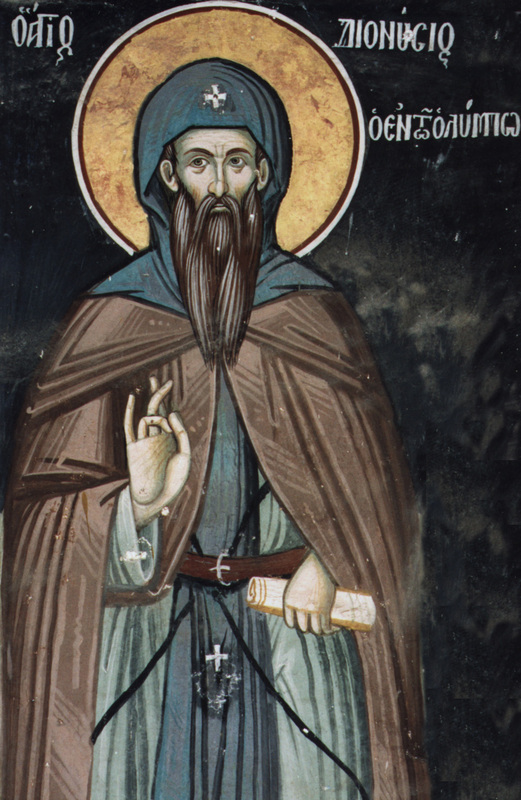 Constrained by love for his fellow men, the Saint decided to forego the sweetness of the anchoretic life for the sake of the salvation of his brethren. 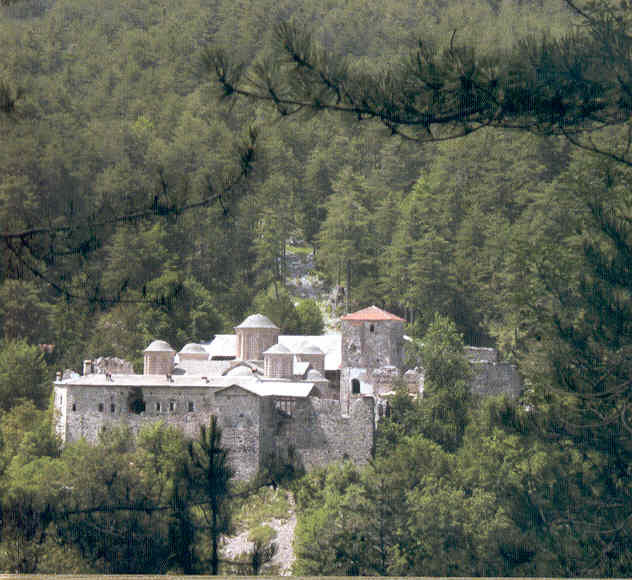 The material and spiritual conditions of the Monastery were soon put on a sound footing under his direction, and a good number of aspirants to the monastic life were received. 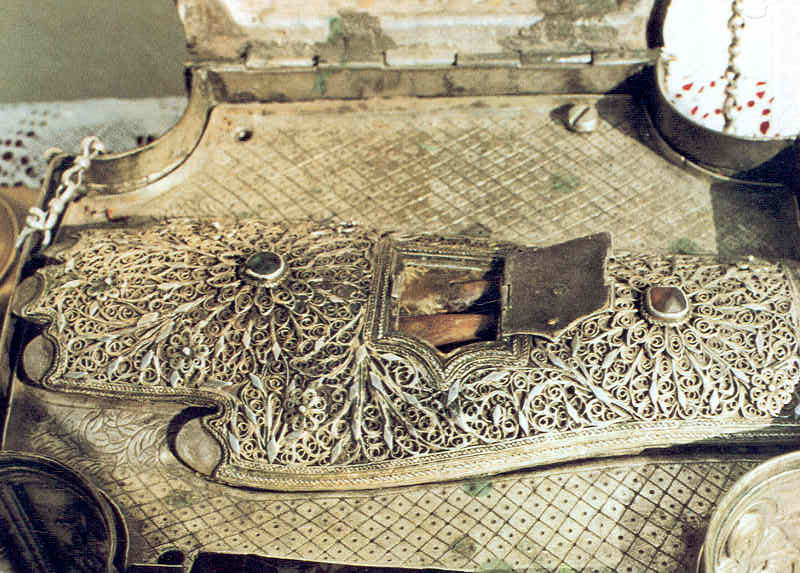 However, some Bulgarian monks, resentful at losing their influence in the Monastery, plotted to make an end of him. Warned in time, Saint Dionysios fled and settled with some of the community in the Skete of Beroea, where a handful of monks were eking out a meager existence. There too the graces and virtues that God made shine forth in the Saint attracted disciples like iron to a magnet. He rebuilt the Church of Saint John the Forerunner, transformed the Skete into a cenobitic monastery, organized according to the tradition of the Holy Mountain; and he allowed other brethren to settle round about, alone or in small communities, so that the place soon became a veritable city of monks. Despite the building works and the cares of spiritual direction, Dionysios made no change in the course of his ascetic life. He ate nothing but a little fruit, wore the same garment in all weathers and prayed without ceasing as he had done in the desert, especially in the silence of the night. To these labors he added boundless charity. He would distribute goods, food and clothing with number to the needy who came to seek alms from the Monastery, while leaving the necessities of the community to the care of divine Providence. As a father to them all, he was also - like Christ - the most humble, and regarded himself as the servant of each one of his monks. Whenever he could, he would go to the villages of the region in order to instruct the people in the keeping of the commandments and how to live according to the gospel, for in those dark days they often lacked the most elementary Christian education. Whatever his activity, whether reading, preaching or praying, his face streamed with tears, so that those who encountered him would follow him and attend to his words coming from a true prophet of God. When the bishop's throne of Beroea became vacant, the people were unanimous in their choice of Dionysios as their new bishop. Having asked for time to consider the matter, the holy monk received assurance from God the the episcopacy was not for him. He went into hiding and soon after left in search of a more secluded abode. Arriving at the foot of Mount Olympus, the ancient habitation of the pagan gods, he, who had already become a god by the grace of the Holy Spirit, settled in a magnificent wooded valley, watered by abundant streams. 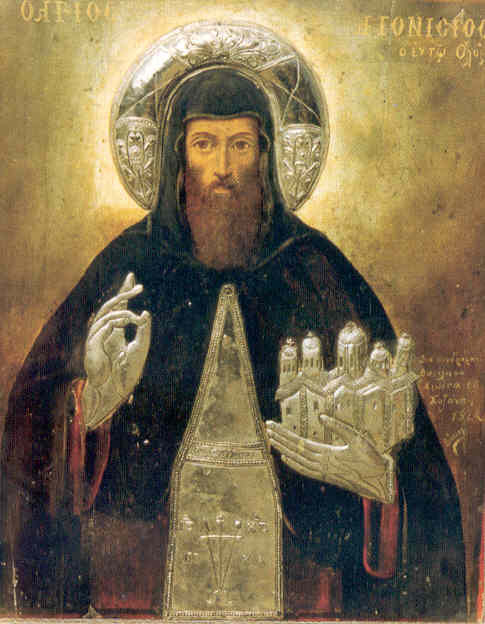 After he had lived there for a while as a hermit, he was joined by disciples and began the construction of a Monastery dedicated to the Holy Trinity. However, the Turkish governor of the district, angered by this unauthorized foundation, decided to arrest the Saint and his community. Fortunately, Dionysios was warned of the danger and fled with his disciples to Mount Pilion, where he founded the Monastery of the Holy Trinity of Sourvia. Meanwhile, God's wrath descended on Olympus, and the villages near the abandoned monastery suffered cruelly from gales and then from hail, which destroyed all their crops. The country folk were not slow to realize that the exile of the Saint was the cause of these misfortunes. They went to the governor and persuaded him to recall Dionysios and his disciples, and to grant them leave and license to build their church and monastery to the glory of God and for a blessing to the countryside. 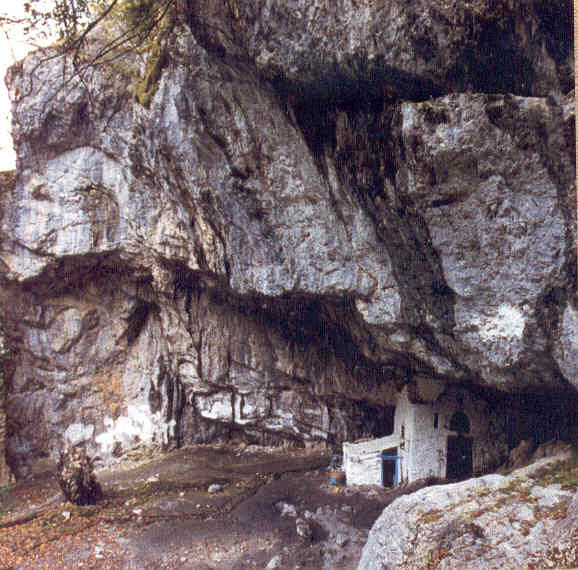 On his return to Olympus, Saint Dionysios lived for a while in a cave, and, as the number of brethren increased, he adopted a threefold pattern of activity: silent seclusion in the Cave of Golgotha, or on the Mount of Olives or the Hill of Saint Lazarus (designations he had given after his second pilgrimage to the Holy Land); spiritual direction of the brethren and participation in the building works; and, finally, care of the poor and teaching of the people. God granted him his grace in abundance and the Saint, for his part, distributed it as a faithful steward. Like Moses, he thus spent many years as God's representative to correct sinners and the impious, to console the afflicted, to heal the sick, to drive out demons, to foretell what would befall, and to lead all those that trusted in him towards the heavenly fatherland. He also built a chapel on Olympus dedicated to the Prophet Elias. One January day in his old age, he fell ill while on a visit to the monastery of Mount Dimitrias and he realized that the time of his departure from this world had come. Nonetheless, being on terms of friendship with God and His Saints, he obtained a respite from the Mother of God, not for further enjoyment of the world to which he was long dead, but so that he might have time to convey his final teachings to his disciples. 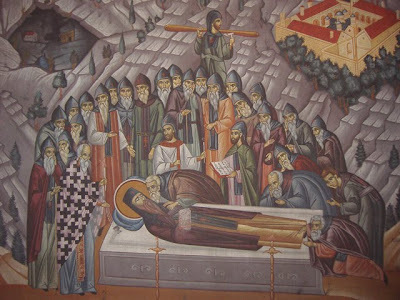 He therefore returned to Mount Olympus, gathered some of his disciples in the cave where he had been living, and exhorted them to persevere with faith in their way of life according to the tradition of the Holy Mountain; and to continue in brotherly love, in poverty, obedience and prayer, so as to be deemed worthy of the Kingdom of Heaven. He reposed in peace on 23 January 1541, while making his prayer for them to the Lord. From The Synaxarion: The Lives of Saints of the Orthodox Church by Hieromonk Makarios of Simonos Petra, vol. 3. Thou didst prove to be a citizen of the desert, an angel in the flesh, and a wonderworker, O Dionysios, our God-bearing Father. By fasting, vigil, and prayer thou didst obtain heavenly gifts, and thou healest the sick and the souls of them that have recourse to thee with faith. Glory to Him that hath given thee strength. Glory to Him that hath crowned thee. Glory to Him that worketh healings for all through thee. The builder at Olympus and the boast of Pieria, and the sacred surrounding wall of the Monastery that bears your name, you were shown to be, O wise Dionysios, for you lived as an angel on earth, and you grant grace to those who reverently flee to your protection. Glory to Him Who gave you strength, glory to Him Who crowned you, glory to Him Who grants to us through you, healings for all. You shone, O Father, with the rays of continence, and were seen as a pure vessel of the Holy Spirit, O wise Father Dionysios, entreating that we be granted deliverance from our sins. 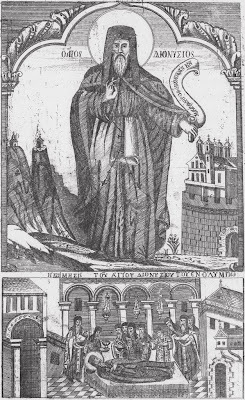 You shone on Olympus ascetically with the rays of miracles, and you truly shine upon all Pieria, who faithfully praise your struggles, O godly Dionysios.